Challenge: Make it possible to build robust web applications inside of WordPress. Solution: The Gear framework makes it possible for you to develop unrestricted, full-featured, MVC based web applications that run within the pages of your WordPress website. 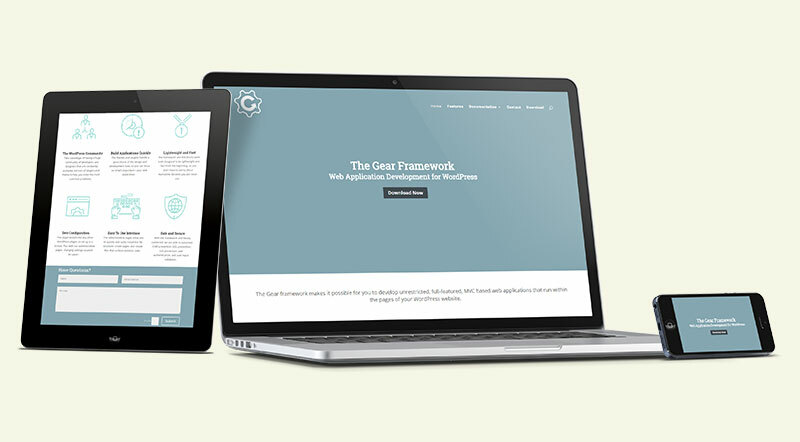 The Gear framework is all about saving you time and keeping things fun. WordPress themes takes on the brunt of the design work, and the plugins help you bypass the need to develop solutions to problems that others have already solved. As a result, you can focus more of your time on developing the core of the project, and less on things like layout, aesthetics, user accounts, and so on.